Very nice finish. Love it. I have terrible skin. Very oily, large pores, freckles, you name it. 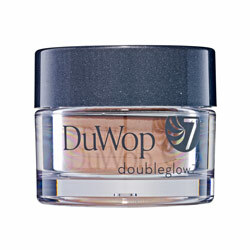 This product works as a foundation, bronzer, and brightener all in one. It makes me look like I've just gotten back from the beach, but is not orange or unnatural at all. I've tried dozens of products, but this is ihe only makeup I will ever use. It's sold at Sephora.com and in most Sephora stores, but not all of them, so I buy it online.